On July 13, 2017, China’s state news agency Xinhua announced that the Chinese government had successfully delivered its first tranche of humanitarian aid to Yemen’s southern port city of Aden. The Chinese government’s assistance package consisted of $22.5 million in relief supplies aimed at ameliorating food shortages in Yemen and combating the country’s burgeoning cholera epidemic. 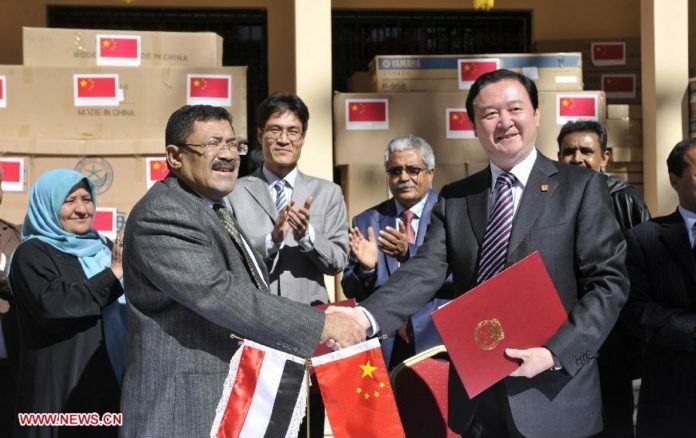 Even though China has been reluctant to diplomatically intervene in Yemen, Beijing’s aid provisions to Yemeni President Abdrabbuh Mansur Hadi’s Aden-based government suggest that China is forging an informal partnership with pro-Saudi factions in Yemen. In addition to entrusting Hadi-aligned officials with humanitarian aid, China has criticized attempts by the Iran-backed Houthi rebels to form a new government in Sana’a and has sold stealth weaponry to Saudi Arabia to assist Riyadh’s military intervention in Yemen. The Chinese government’s decision to align with Hadi’s pro-Saudi forces can be explained by Beijing’s endorsement of Hadi’s desire to reunite Yemen under stable authoritarian leadership. China’s indirect support for Hadi also underscores Beijing’s commitment to strengthening its burgeoning security partnership with Saudi Arabia. This partnership will allow China to more effectively balance between Tehran and Riyadh, furthering Beijing’s quest for an enhanced diplomatic role in the Middle East. Even though the Chinese government has not publicly released a detailed Yemen strategy, Chinese policymakers have consistently emphasized the need to bring hostilities in Yemen to a swift conclusion. A ceasefire in Yemen would help expand China’s military power projection capacity in the Middle East, centered on its new naval base in Djibouti. A cessation of hostilities in Yemen would also have significant economic benefits for China, as it would give Beijing access to Yemen’s Bab al-Mandeb Strait, which links the Horn of Africa to the Middle East. Gaining access to this critical chokepoint will facilitate China’s objective of expanding the One Belt, One Road to Saudi Arabia, and allow China to actively participate in the trade of seaborne oil across Yemen’s maritime straits. These strategic interests ensure that China’s principal goal in Yemen is preserving long-term political stability. Therefore, Beijing’s strategy in Yemen has consisted of backing the political faction that is most likely to reunite and stabilize the country. In the early stages of the conflict, Chinese officials viewed Saudi Arabia and its Gulf Cooperation Council (GCC) allies as unilateral aggressors, which were destabilizing Yemen and preventing the Houthis from consolidating power. This interpretation of the Yemen conflict caused China to convince one of its leading international allies, Pakistan, to refrain from participation in the GCC military intervention in Yemen. China’s strategic calculus began to change in late 2015, as the Houthis’ territorial expansion stagnated, and Hadi recaptured control over Aden. The Houthis’ loss of momentum and heightened international isolation caused Chinese policymakers to question the Houthis’ ability to guarantee Yemen’s long-term stability. These doubts were strong enough to convince Chinese policymakers to pivot towards Hadi’s pro-Saudi coalition. China’s shifting alignment was confirmed in January 2016, when Chinese President Xi Jinping visited Saudi Arabia and announced his support for Hadi’s “internationally recognized government” in southern Yemen. The Chinese government’s derisive response to Houthi attempts to form a new Yemeni government based out of Sana’a in December 2016 revealed the extent of Beijing’s policy shift. In an official statement on December 3, the Chinese Foreign Ministry criticized Houthi unilateralism in Yemen and urged the Houthis to participate in a unity government with Hadi’s allies. In response to these harsh statements, the Houthis dispatched a diplomatic delegation to China. Despite initial optimism, this diplomatic outreach failed to change Beijing’s position on the Yemen crisis or restrict Chinese drone sales to the GCC coalition. China’s decision to rebuff the Houthis’ diplomatic overtures highlighted the extent of its pivot to Hadi’s pro-Saudi forces. In this context, China’s public calls for all-inclusive diplomacy in Yemen should be viewed as a means of avoiding tensions with Iran, rather than as signs of Beijing’s impartiality in the Yemen conflict. In addition to the benefits to China’s commercial interests and naval power projection aspirations that would result from the reunification of Yemen under stable authoritarian rule, China’s decision to align with Hadi’s forces in Yemen is closely linked with its desire to upgrade its economically lucrative security partnership with Saudi Arabia. As the GCC coalition has used stealth weaponry against Houthi forces in Yemen, China’s decision to align with Riyadh on Yemen gives Beijing an opportunity to sell its stealth weaponry technology to a critical Middle Eastern partner. On March 16, China’s Aerospace Science and Technology Corporation (CASC) signed a partnership agreement with Riyadh’s King Abdulaziz City for Science and Technology (KACST). This agreement legalized the production of Chinese CH-4 unmanned aerial vehicles (UAVs) on Saudi soil. The establishment of a Chinese drone factory in Saudi Arabia is the first of its kind in the Middle East, and it allows Beijing to dominate a niche of the Saudi arms market that is not addressed by either the United States’ May 2017 arms deal with Saudi Arabia or Russia’s $3.5 billion arms contract with Riyadh. China’s expansion of arms sales to Riyadh demonstrates that Beijing is trying to balance between Iran and Saudi Arabia to maximize its geopolitical influence in the Middle East. 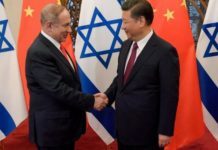 In 2016, Xi described both Saudi Arabia and Iran as comprehensive strategic partners, and appealed to the leaders of both countries by refuting the notion that China was trying to establish client states in the Arab world. 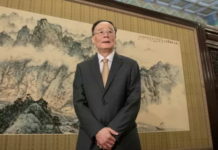 This balancing approach has come under threat in recent weeks, however, as China has faced pressure to pick a side in the rapidly escalating diplomatic standoff between Saudi Arabia and Qatar and to formalize Iran’s accession to the Shanghai Cooperation Organization (SCO). Many prominent defense analysts, like the RAND Corporation’s Timothy Heath and the Washington Institute for Near Eat Policy’s Michael Singh, have predicted that the Gulf crisis and SCO expansion pressures will cause China to pivot strongly toward Tehran. Despite these predictions, Beijing has been cautious to ensure that any perceived pro-Iranian actions are canceled out by displays of solidarity with Saudi Arabia. Therefore, China’s humanitarian aid provisions to Hadi’s government are critical, as they demonstrate that Beijing’s strategy of balancing between Saudi Arabia and Iran remains intact. 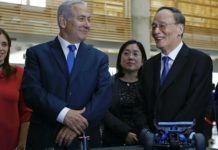 Even though China’s influence over the outcome of the Yemeni civil war remains peripheral, Beijing’s decision to strengthen its ties with Hadi’s Saudi-backed government is closely linked to the Chinese navy’s base construction in Djibouti, Chinese commercial interests, and China’s great power ambitions in the Middle East. As the risk of backlash from Iran remains minimal, China will likely continue to provide arms and diplomatic support for Saudi Arabia’s military intervention in Yemen for the foreseeable future.